The most interactive show on RadioSEGA! Spend your weekend with Andy and listen to great SEGA music and remixes, vote for random SEGA tracks in The Weekend Roulette, request non-SEGA music for The Non-SEGA Tracks of the Week, and take your chances in Gone In a Sonic Minute or be ON THE SHOW during the Weekend Call In. After three long weeks of no fun Sunday's, Andy is back to try and turn your end of week frowns upside down once again! 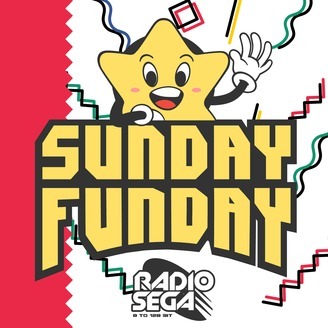 All of your favourite Sunday Funday segments are back to help put a smile on your face: The Sunday Roulette's Top 3 and The Non-SEGA Tracks of the Week are back with some pretty nice sounding tunes that I'm sure you will definitely enjoy! We also have The SEGA Question of the Week, The Sunday Call In and, of course, the return of Gone in a Sonic Minute with RadioSEGA's very own KC coming back for Round 4 of the quiz. Will KC be boycotted once again during the quiz? 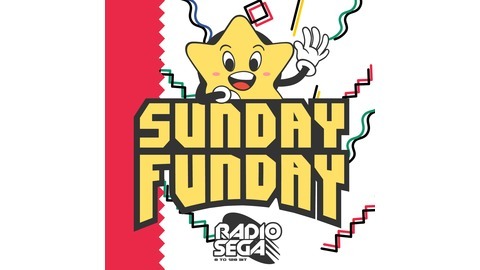 The answer lies in this weeks episode of The RadioSEGA's Sunday Funday!